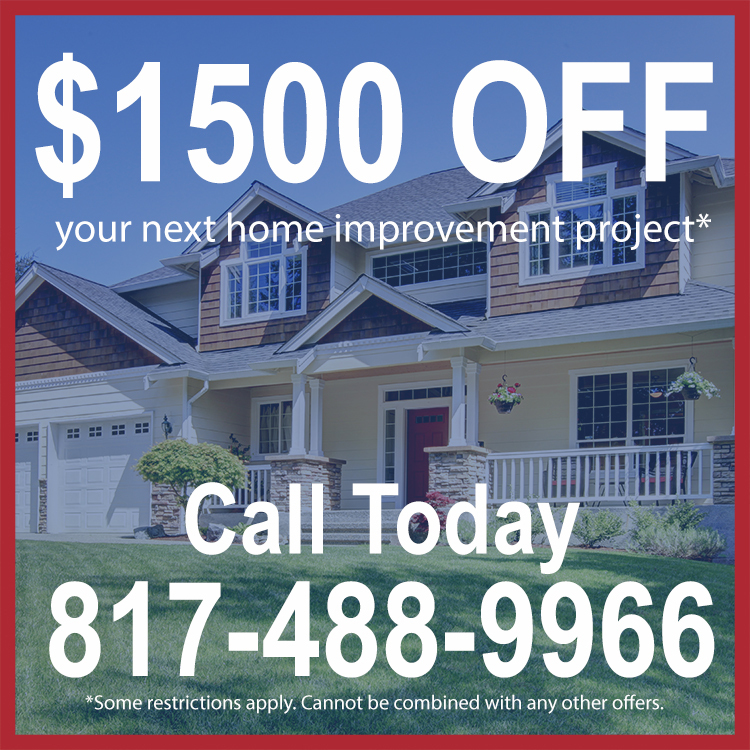 Whether its a patio or pergola, roofing, exterior coating or replacement windows, give Texas Home Improvement a call for $1,500 off your next home improvement project. Call for details and restrictions. If you live in Austin or the Dallas Fort Worth area and would like more information on exterior coating, replacement windows, or patio covers, give us a call or contact us below.